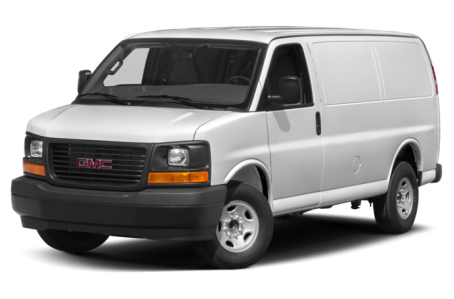 The 2018 GMC Savana 2500 is a versatile van with cargo and passenger configurations. Regular and extended wheelbases are available. It is powered by a standard 285-hp, 4.8-liter V-8 engine mated to a six-speed automatic transmission and rear-wheel drive. A more powerful 342-hp, 6.0-liter V-8 engine is also available. Three trim levels are available: the Work Van, LS, and LT. The LS and LT trims are configured to seat eight to twelve passengers, while the Work Van seats up to five passengers.